Meet your neighbor Noel Engstrom Phelps of Blandinsville, formerly of La Harpe. Noel was born in Long Beach, California and raised in La Harpe. She graduated from La Harpe High School in 1992. She graduated from Cosmetology school in 1992. She is currently a sophomore at Western Illinois University and is also employed at WIU. Noel is the daughter of Mike and Bonnie Duffie, of Blandinsville and the late John Engstrom. Noel has two children, Dallas and Taylor. Dallas will be 13 in September and will be in the 7th grade at West Prairie Middle School in Colchester in the fall. Taylor is 5 and will be in Kindergarten at West Prairie Elementary in Good Hope in the fall. Noel is engaged to Darren DeBold, who is also from Blandinsville and graduated from Northwestern High School in 1988. Darren works for Macomb Rentals in Macomb. Noel has one brother and two sisters. 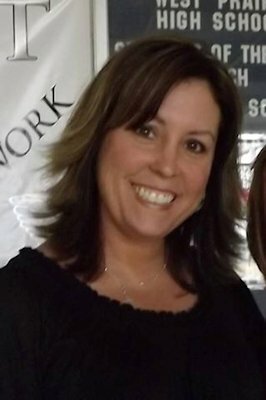 Her brother Steve lives in Macomb and his kids are Ashley (Jim) Beck, Zachary and Brittany Caywood and he has 3 grandchildren named Brooklyn, Kendrick and Jace. Her sister Kari lives in California, her children are Katarina and Kalvin and other sister Kristi lives in Colorado, with her kids, Nicholas and Sarah.